Great Opportunity for 1 level Living- Conveniently located near Blakeney Shops & Restaurants! Private location, with abundance of natural lighting. Dramatic interiors offers Vaulted Great Rm w/Fireplace- Opens to Charming Sun Room. Formal Dining Room. Spacious Kitchen w/maple cabinetry- Breakfast. Private Office/Den. 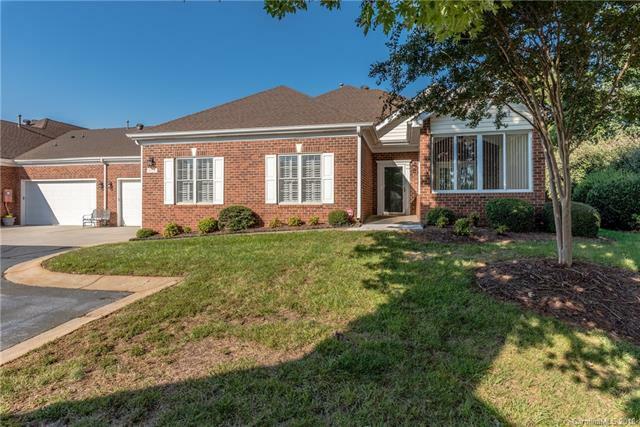 Spacious Master Retreat with Trey ceiling, Large Walk in Closet-Plus-Spacious Bath w/Large walk-in shower. Guest Room has Full Bath w/Tub/Shower. Neutral Decor throughout. Plantation Shutters-Storage Opportunities in Garage Plus Attic Storage above. Easy stroll to Community Clubhouse, Pool, Library & Fitness Center. Ready NOW! Sold by Scarlett Real Estate, Llc.